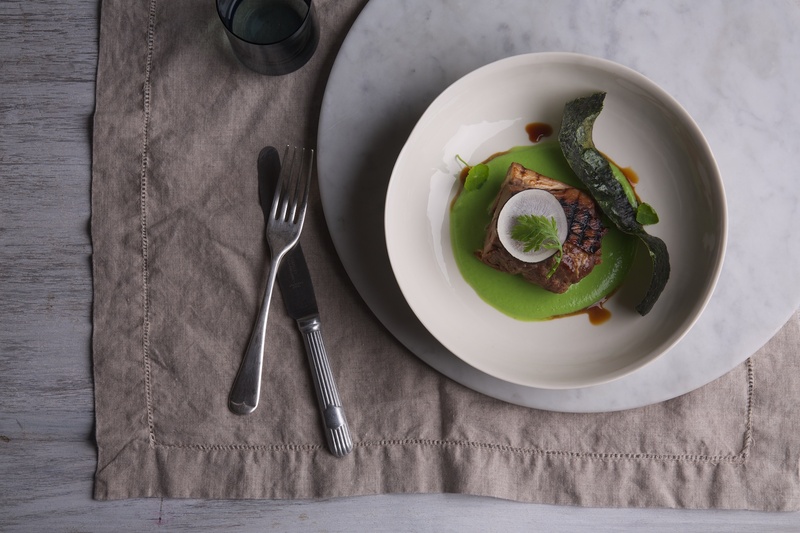 At Home with Sous Vide celebrates the gentle art of low-temperature cooking. 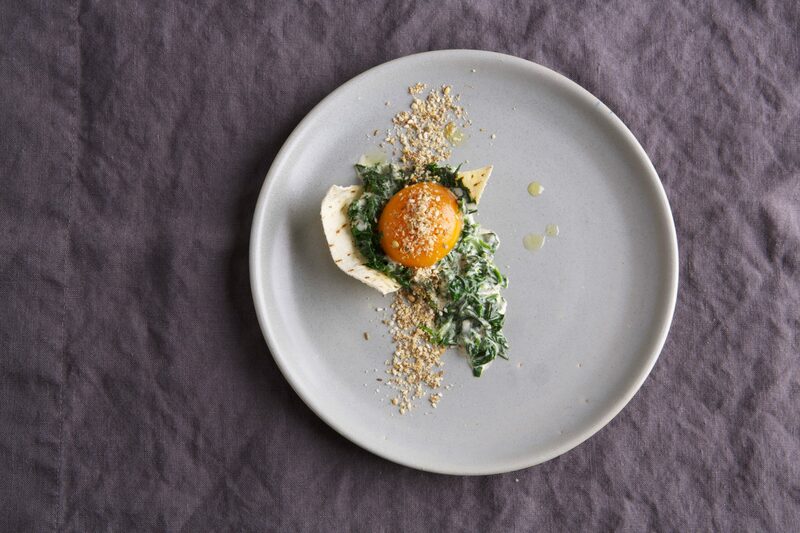 Discover the way an exact approach to cooking can transform food, and the incredible flavour and texture that can be achieved when cooking meat, fish, eggs, vegetables and even fruit sous vide. 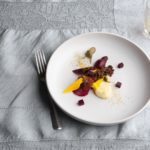 Director of Sous Vide Australia, teacher and chef, Dale Prentice provides 74 easy-to-follow recipes, including 37 dishes from some of the world’s most renowned chefs, restaurants and sous vide enthusiasts. 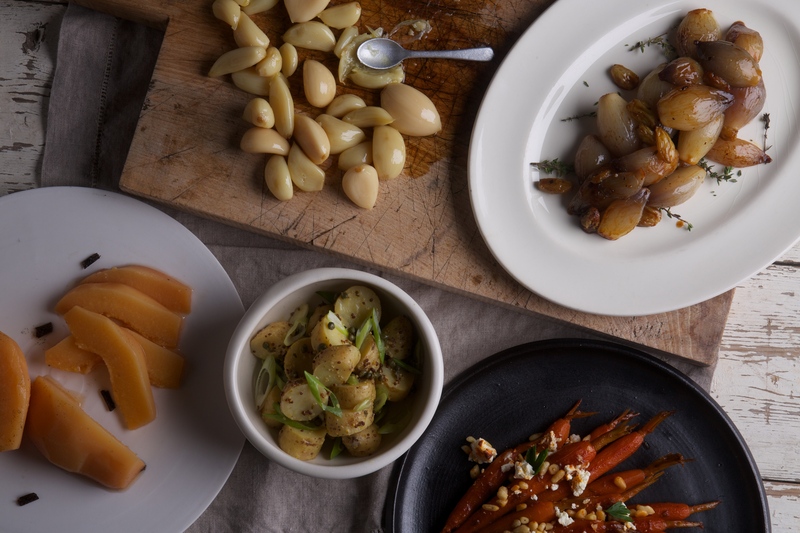 Each recipe is beautifully photographed and broken down into step-by-step components. 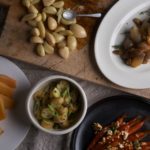 From simple salads to easy dinner recipes for beginners to more elaborate dishes for the confident cook, At Home with Sous Vide takes this amazing new style of cooking out of the restaurant world and into the home. This review of ‘At home with sous vide’ is from ‘ANZ LitLovers LitBlog’ by Lisa Hill. The Spouse and I are devoted to Masterchef: we watch it religiously and this 2014 series is the best yet. The spouse is a keen cook, you see, and so he’s always looking for beaut new ideas that are do-able at home. But until recently, there was one method of cooking that couldn’t be replicated at home, and that was sous vide, i.e. cooking in a low temperature water bath. It’s a fabulous way of cooking that results in perfectly tender, evenly-cooked meat and fish, with delicious flavour and texture. So you can imagine how pleased I was to discover that Sunbeam have brought out a sous vide cooker for domestic kitchens, and DJ’s had parceled it – on special – with the vacuum food sealer machine as well. The first experiments were with the recipe book that comes with the instructions. We tried hapuka and salmon, and a scrumptious pork belly (free range, of course) with beetroot relish. But then it was time to try something a bit more ambitious. So now we have The Cookbook – and already we have had some delicious dinners using its recipes. 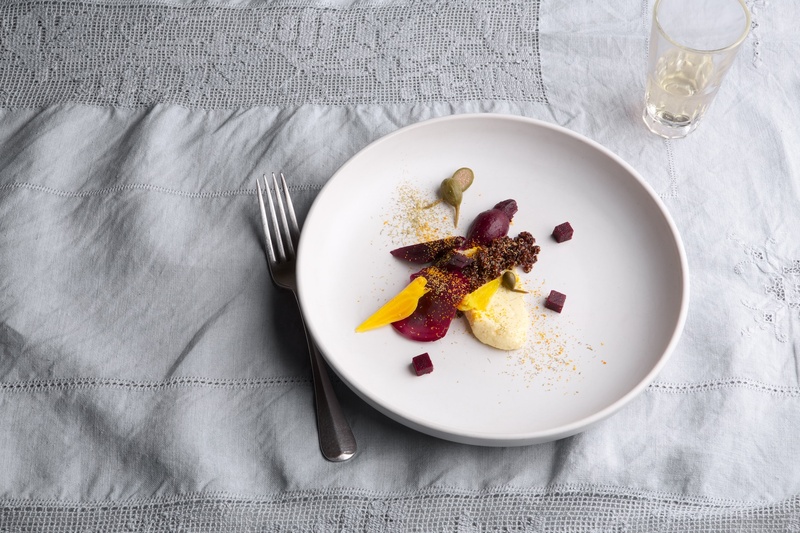 Dale Prentice is the director of Sous Vide Australia, and is also an experienced chef, working with the likes of Greg Malouf and George Calombaris. At Home with Sous Vide, however, begins with the basics and – while there are some advanced restaurant dishes made with hard-to-source ingredients – most of it is not too difficult for keen home cooks. There’s an introductory chapter covering the principles of sous vide: planning ahead, buying wisely, preparing the food, sealing it in a vacuum bag, and cooking safely. 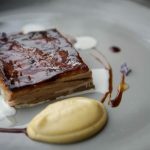 After that comes a list of the top 10 ingredients, which – as well as the ones you’d expect (pork belly, confit duck, salmon) – contains some surprises. 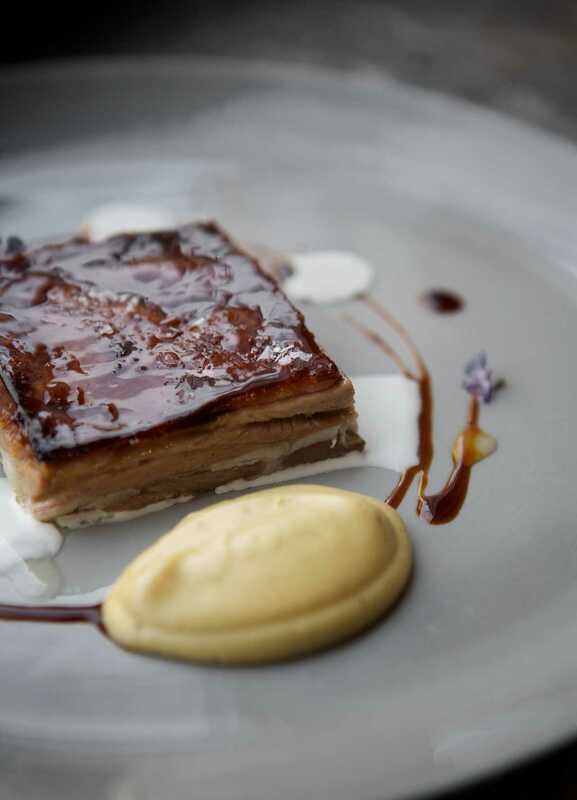 Who knew that you could cook custard or rhubarb in a sous vide machine? There are then five sections: eggs, poultry & game, meat, fish, and fruit & vegetables, again with some surprises. A Baileys Irish Cream Cheesecake with hazelnuts, and scrambled eggs! 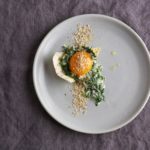 We haven’t tried those yet, but (as our Facebook friends know) we have tried Anthony Fullerton’s chicken Ballotine – and then a variation of it created by the ever inventive Spouse. Tonight, it was a simple weekday salmon dish again, but the flavour is brilliant when it’s cooked sous vide and there are no worries about whether the thick end is cooked right through. The book is generously illustrated to provide ideas for plating, and there’s a step-by-step sequence at the beginning of the book too. Chef in the studio kitchen from Mike Emmett on Vimeo. A day in the studio from Mike Emmett on Vimeo. 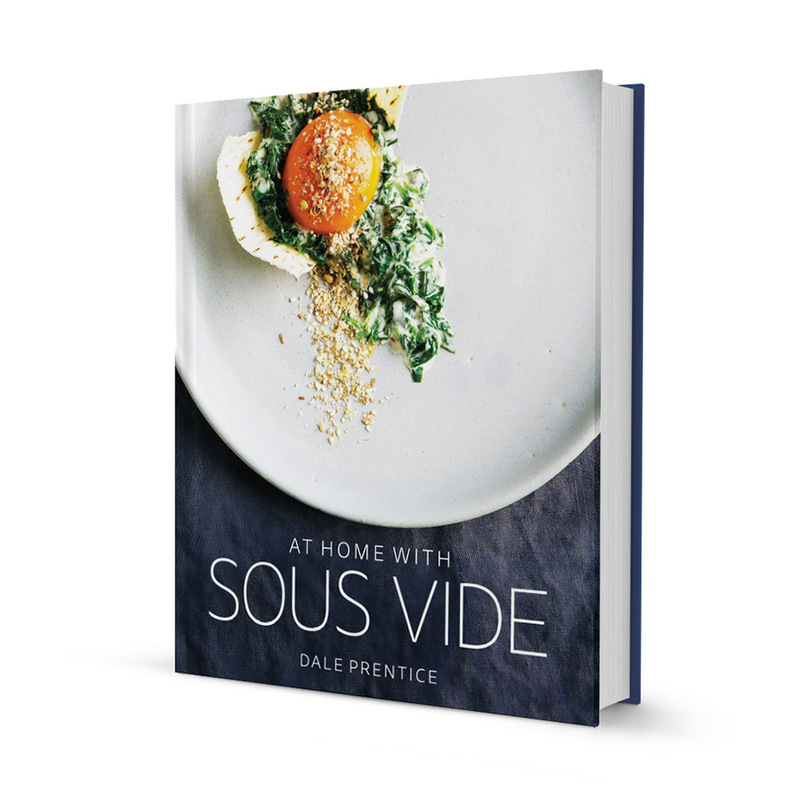 Dale Prentice has written the text for the book, with lots of insight in to sous vide cooking and tricks for best results. The recipes are by Dale and contributions from chefs and bloggers from around the world. We have some amazing contributors and a truly diverse set of recipes for sous vider’s of every level. Contributing chefs: Bruno Goussalt, Nathan Myhrvold, Wylie Dufresne, Shannon Bennett, Phillipe Mouchel, Stefan Cosser, Brad Farmerie, Spencer Patrick, Jarrod Hudson, Martin Boetz, Shane Delia, Anthony Fullerton, Mark Ebbels, James Blight, Patrick Dang, George Diamond, Dallas Cuddy, Kirby Craig, Adam Draper, Pablo Tordesilla, Ryan Clift, Michael Ryan, Jason Logsdon, J.Kenji Lopez-Alt, Harold and Christine Fleming, Raymond Capaldi, Christine Manfield, Florent Gerardin, Joe Strybel, Wayne Smith, Garen Maskal, Roberto Cortez, Andrew Dargue, Tom Randalph, Darren Purchase, Madalene Bonvini-Hamel and David Roberts.